Since it's been warm I'd say we've grilled for dinner almost every night. It saves me from having to cook, makes it so the house stays cool, and (bonus) Adam loves it. 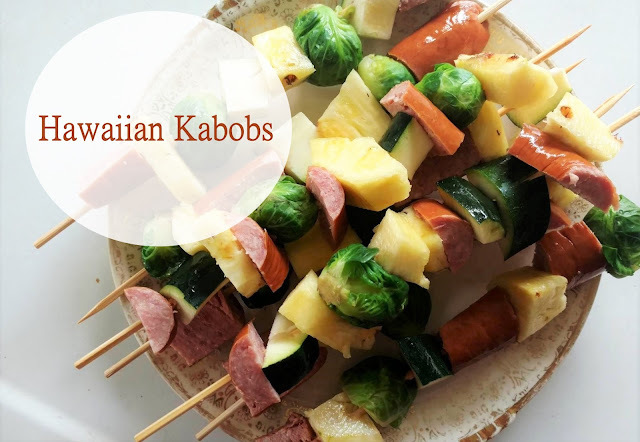 One of the easiest things to cook is kabobs. We've tried many different combinations but I tried this particular one the other afternoon and it is SO good. 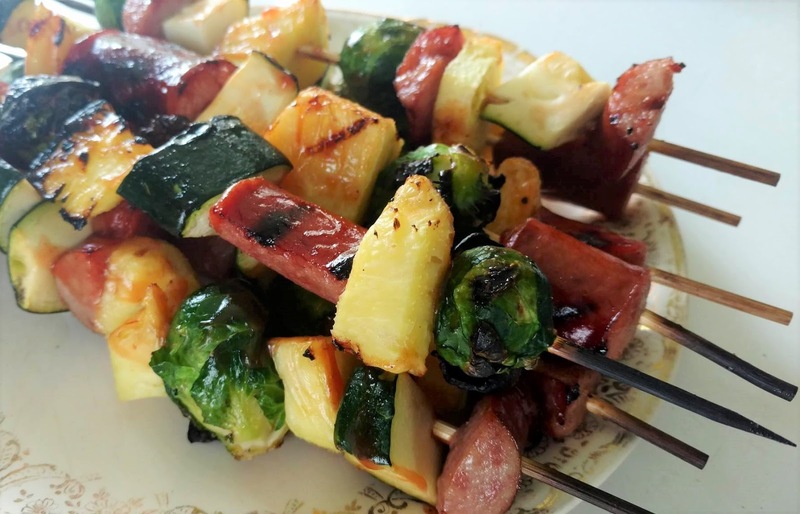 (amounts of everything vary on how many kabobs you are making). 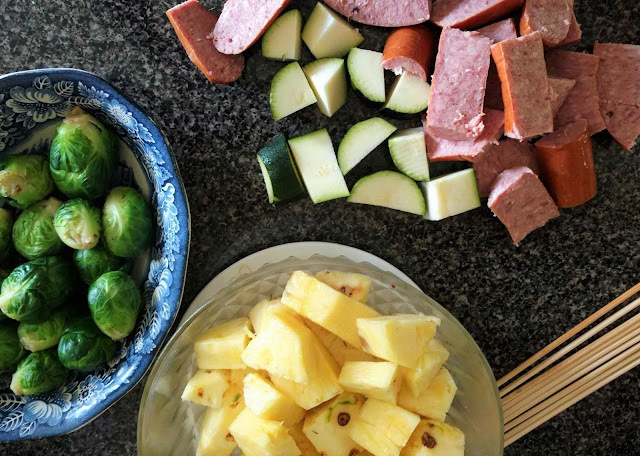 Chop everything into large chunks (except the brussels sprouts-I left them whole). Steam the brussels sprouts until just tender. 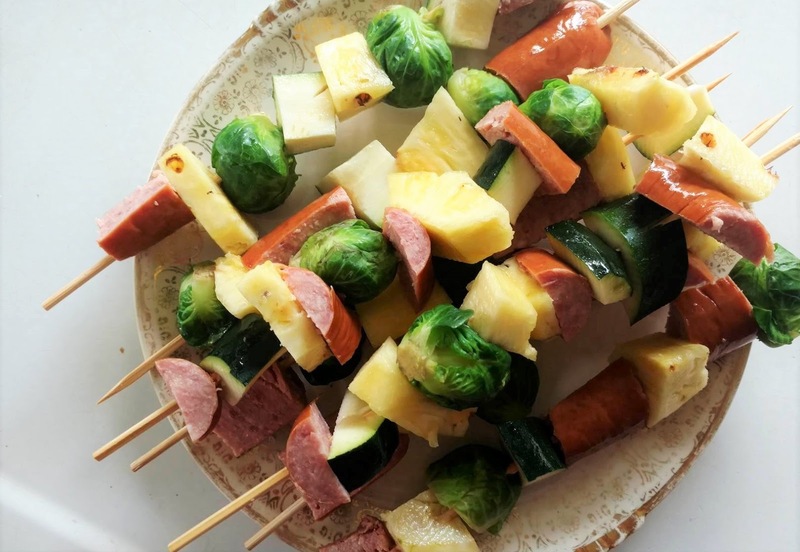 Thread veggies and kielbasa onto skewers. Toss on the grill for about 14 minutes. 7 minutes on one side then turn over and 7 on the other. Brush with sauce, let go another 2 minutes and then turn off the grill and let the kabobs sit in the cooling grill for a few minutes.